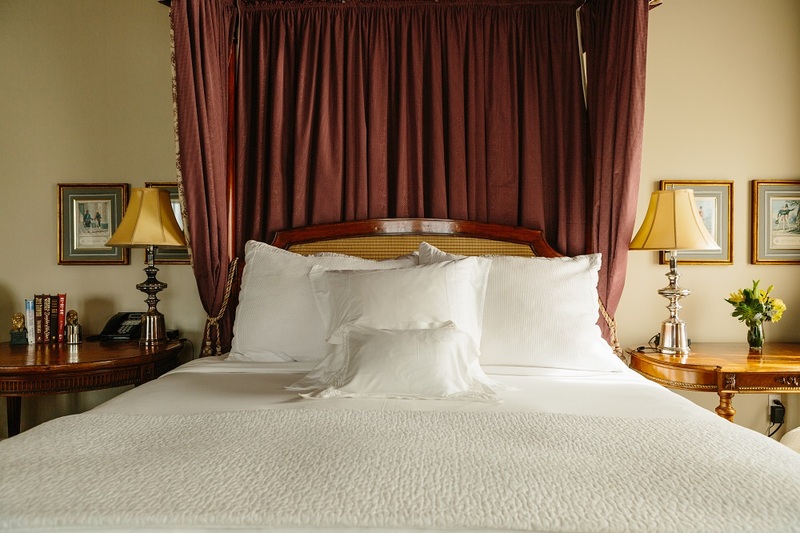 Hotel Les Mars Signature Sleep features hand-carved four poster beds with Italian linens. When you’ve spent a magical day in Sonoma wine country tasting in the vineyards, dining in exquisite restaurants, picnicking next to the lake, or cycling over rolling hills, one thing is for certain, you will arrive back to your room and fall into a relaxing, deep sleep filled with sweet dreams. From the foundation of the four poster canopy bed, the sleep experience has been meticulously designed to provide the level of luxury you would expect. The Les Mars customized linen manufacturer is Versai. Versai, one of the largest manufacturers of Egyptian cotton fabrics from Italy, is happy to offer you their entire residential library. Their custom workroom can also design and complete a special order on request. Contact them directly at 310-289-8111 x21 or versai-la.com. The mattress is an exclusive customized mattress only available through the hotel. Contact the hotel directly for information regarding purchase.